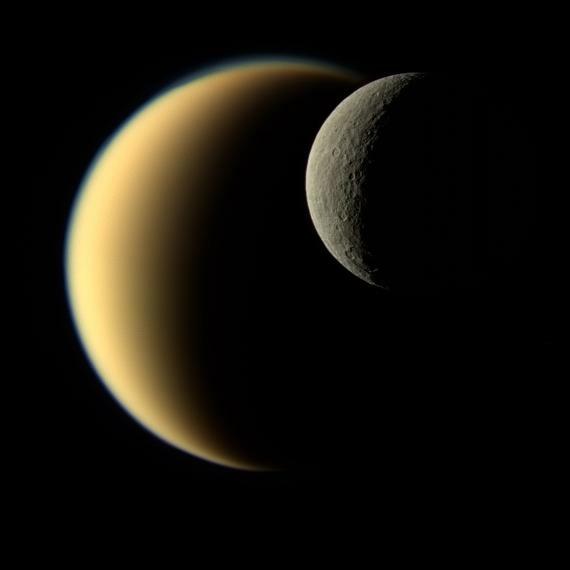 In this view, Saturn's icy moon Rhea passes in front of Titan as seen by NASA's Cassini spacecraft. Some of the differences between the two large moons are readily apparent. While Rhea is a heavily-cratered, airless world, Titan's nitrogen-rich atmosphere is even thicker than Earth's. This natural color image was taken in visible light with the Cassini narrow-angle camera on November 19, 2009, at a distance of approximately 713,300 miles (1,148,000 kilometers) from Rhea. The Cassini spacecraft ended its mission on September 15, 2017. A new study has found that the seven planets orbiting the nearby ultra-cool dwarf star TRAPPIST-1 are all made mostly of rock, and some could potentially hold more water than Earth. The planets' densities, now known much more precisely than before, suggest that some of them could have up to 5 percent of their mass in the form of water — about 250 times more than Earth's oceans. The hotter planets closest to their parent star are likely to have dense steamy atmospheres and the more distant ones probably have icy surfaces. In terms of size, density and the amount of radiation it receives from its star, the fourth planet out is the most similar to Earth. It seems to be the rockiest planet of the seven, and has the potential to host liquid water. Planets around the faint red star TRAPPIST-1, just 40 light-years from Earth, were first detected by the TRAPPIST-South telescope at ESO’s La Silla Observatory in 2016. In the following year further observations from ground-based telescopes, including ESO’s Very Large Telescope and NASA’s Spitzer Space Telescope, revealed that there were no fewer than seven planets in the system, each roughly the same size as the Earth. They are named TRAPPIST-1b,c,d,e,f,g and h, with increasing distance from the central star. Further observations have now been made, both from telescopes on the ground, including the nearly-complete SPECULOOS facility at ESO’s Paranal Observatory, and from NASA’s Spitzer Space Telescope and the Kepler Space Telescope. A team of scientists led by Simon Grimm at the University of Bern in Switzerland have now applied very complex computer modelling methods to all the available data and have determined the planets’ densities with much better precision than was possible before. Simon Grimm explains how the masses are found: "The TRAPPIST-1 planets are so close together that they interfere with each other gravitationally, so the times when they pass in front of the star shift slightly. These shifts depend on the planets' masses, their distances and other orbital parameters. With a computer model, we simulate the planets' orbits until the calculated transits agree with the observed values, and hence derive the planetary masses." Team member Eric Agol comments on the significance: "A goal of exoplanet studies for some time has been to probe the composition of planets that are Earth-like in size and temperature. The discovery of TRAPPIST-1 and the capabilities of ESO’s facilities in Chile and the NASA Spitzer Space Telescope in orbit have made this possible — giving us our first glimpse of what Earth-sized exoplanets are made of!" The measurements of the densities, when combined with models of the planets’ compositions, strongly suggest that the seven TRAPPIST-1 planets are not barren rocky worlds. 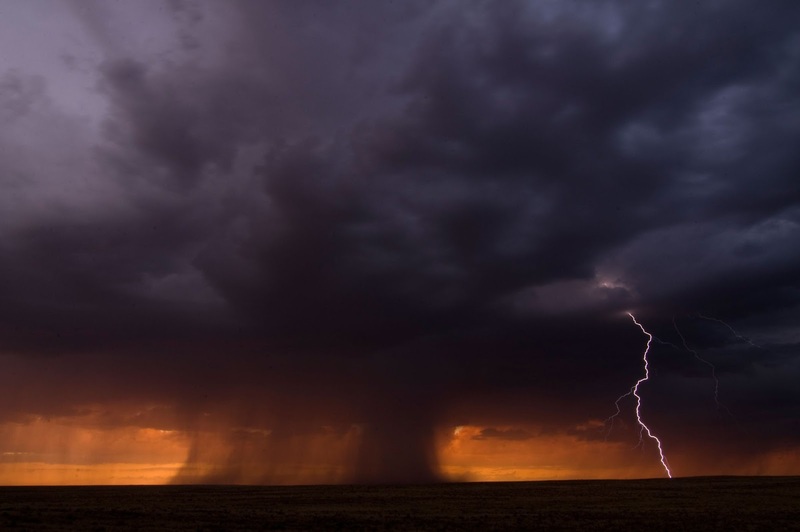 They seem to contain significant amounts of volatile material, probably water, amounting to up to 5% the planet's mass in some cases — a huge amount; by comparison the Earth has only about 0.02% water by mass! "Densities, while important clues to the planets' compositions, do not say anything about habitability. 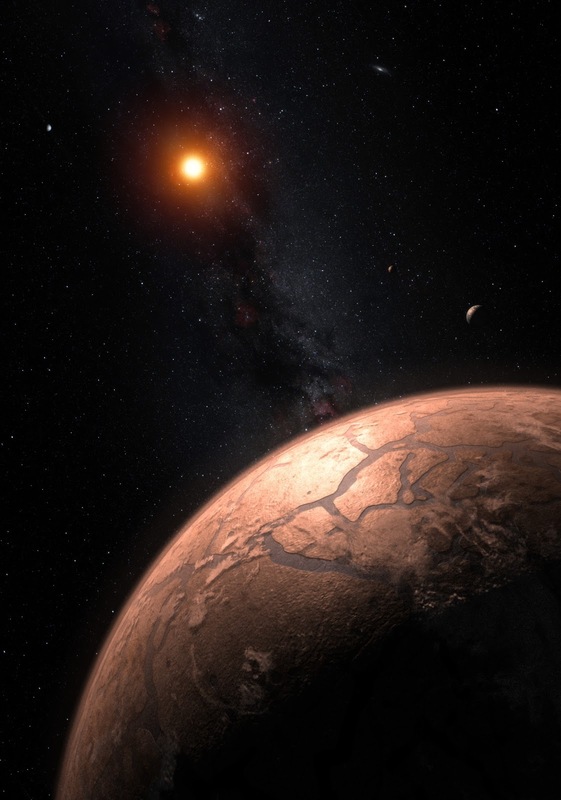 However, our study is an important step forward as we continue to explore whether these planets could support life," said Brice-Olivier Demory, co-author at the University of Bern. TRAPPIST-1b and c, the innermost planets, are likely to have rocky cores and be surrounded by atmospheres much thicker than Earth's. TRAPPIST-1d, meanwhile, is the lightest of the planets at about 30 percent the mass of Earth. Scientists are uncertain whether it has a large atmosphere, an ocean or an ice layer. Scientists were surprised that TRAPPIST-1e is the only planet in the system slightly denser than Earth, suggesting that it may have a denser iron core and that it does not necessarily have a thick atmosphere, ocean or ice layer. It is mysterious that TRAPPIST-1e appears to be so much rockier in its composition than the rest of the planets. In terms of size, density and the amount of radiation it receives from its star, this is the planet that is most similar to Earth. TRAPPIST-1f, g and h are far enough from the host star that water could be frozen into ice across their surfaces. If they have thin atmospheres, they would be unlikely to contain the heavy molecules that we find on Earth, such as carbon dioxide. 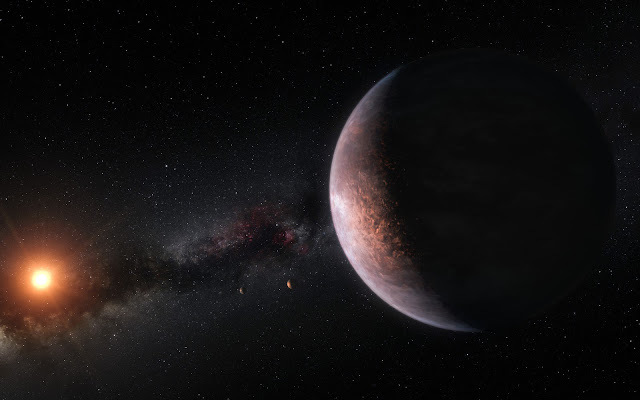 "It is interesting that the densest planets are not the ones that are the closest to the star, and that the colder planets cannot harbour thick atmospheres," notes Caroline Dorn, study co-author based at the University of Zurich, Switzerland. The TRAPPIST-1 system will continue to be a focus for intense scrutiny in the future with many facilities on the ground and in space, including ESO’s Extremely Large Telescope and the NASA/ESA/CSA James Webb Space Telescope.